Tributes have been paid to a couple from Lancaster who died in a crash on the M6. David and Patricia Howard died following the collision close to junction 31a for Fulwood at around 9.55pm on Sunday November 11. An Audi A4 travelling northbound collided with their Vauxhall Vectra, which hit a Volkswagen Transporter, which then collided with a Citroen CX Athena. Emergency services attended and Patricia, 58, who was driving, was sadly pronounced dead at the scene. David, 57, was taken to Royal Preston Hospital, but died a short time later. 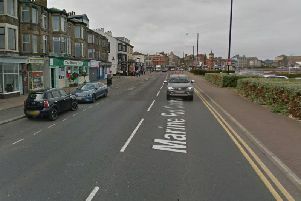 The driver of the Volkswagen, a 47-year-old man from Ulverston and the driver of the Citroen, a 70-year-old man from Galgate, were not injured. It is understood David and Patricia both attended Skerton High School. David worked at Premierline Business Insurance in Mannin Way off Caton Road. Premierline’s operations manager, Matt Thwaite said: “We are deeply saddened to learn of the sudden death of our colleague and friend David Howard and his wife Patricia. The news has come as a terrible shock and our thoughts are with their family and friends during this very sad time. “Dave worked for Premierline for nearly 11 years and was an extremely popular member of the team and will be deeply missed. We will be offering support to the family and our colleagues at this difficult time.” The M6 northbound was closed for more than six hours while accident investigators attended. “We are appealing for information following the collision and if you saw what happened and have yet to speak to police, please come forward.